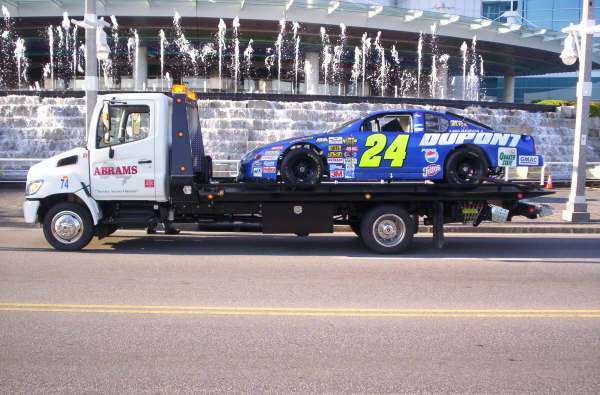 Abrams Towing is the top choice of corporations big and small because they need reliable service they can count on. 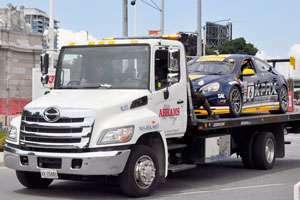 Abrams Towing services its corporate clientele in the spirit of true partnership; keeping your fleet on the road matters just as much to Abrams as it does to you. Our ISO 9001:2008 Certification ensures consistent quality on which you can always depend. We partner with your needs and care for your fleet so that you can focus on servicing your customers without roadblocks. Moving something really big- like an 18-wheel semi or a Canadian Armed Forces tank -means you had better make sure that it gets done right the first time. 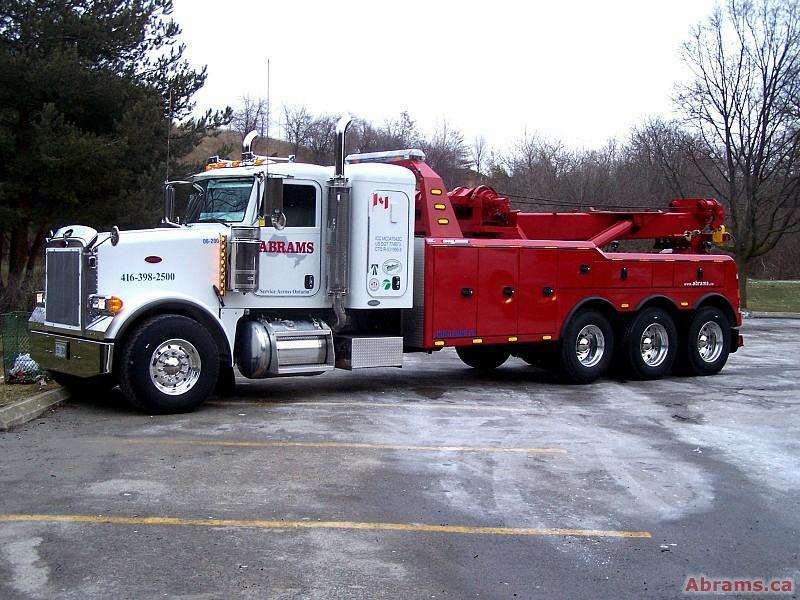 Abrams Towing features a 20,000-square-foot tow truck operator training centre, where we host our WreckMaster training and certification programs. Our Heavy Duty Division features a fleet of state-of-the-art heavy-duty equipment, including a 50-ton Peterbilt Challenger. Many of our heavy-towing operators have been with Abrams for more than two decades, so you know your job will be handled with precision and accuracy by a well-trained, seasoned professional. 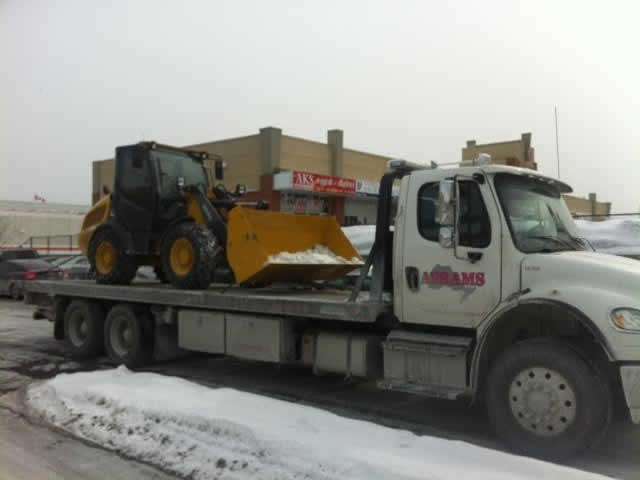 Abrams Towing is the largest towing company in Canada, offering a full spectrum of equipment and personnel you can depend on to deliver the same high level of service every day. 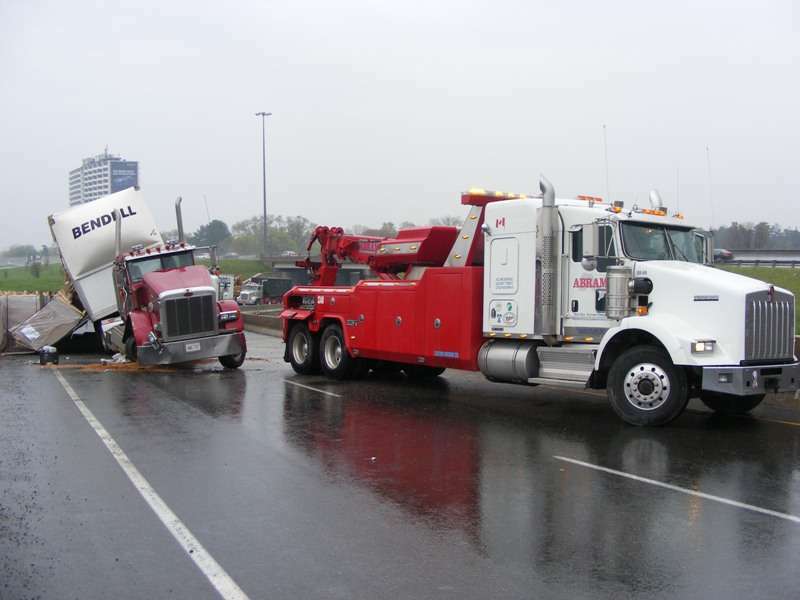 Our tow truck, equipment and staff redundancies ensure that our systems are always prepared to help you when you need it. We conduct constant preventative maintenance on our equipment to ensure that our trucks are out on the road to get you back on the road as quickly and as efficiently as possible every day of the year, and in all kinds of weather. 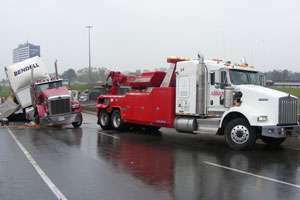 Our flatbed tow trucks are a quintessential tool for use with a range of vehicles- from 4-wheel drives to sports cars, motorcycles and general, medium-duty vehicles and equipment. 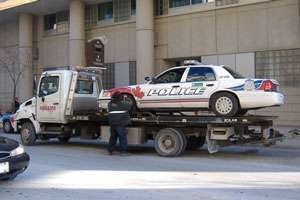 We are meticulous about maintaining our fleet. Our trucks are also equipped with specialty tow ramps for use with even the lowest sports cars on the road. We’d like to say that our team is 100 percent perfect every day. And, we do like to get it right the first time, every time. Yet- even with dedication, a loyal staff, our ISO 9001:2008 Certification, extensive operator training and 90 percent employee retention -on rare ocassions, even the finest in their field do err. At Abrams Towing, we like to stand out as bringing our highest level of integrity to serving our customers daily. Whatever the matter, should an error or oversight occur, Abrams guarantees that we will respond promptly and make things right. 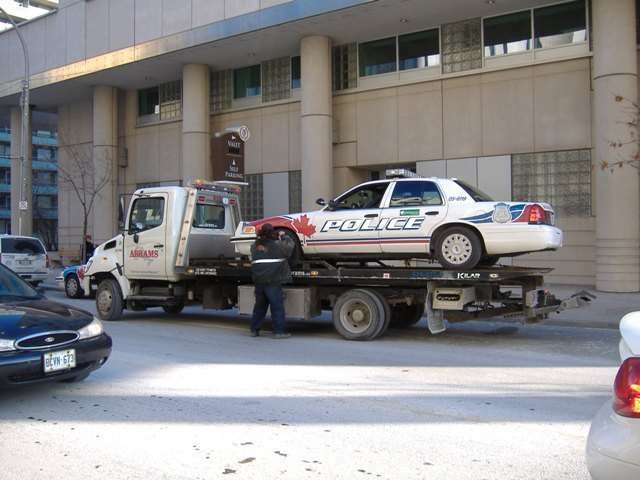 A signature feature of Abrams Towing is our operational efficiency in handling interactions among government agencies like fire, ambulance, police and the Ministry of Transportation. Boasting exceptional response times, we also ensure seamless communication for billing and claims among departments and insurance companies. 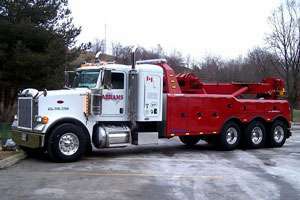 Abrams Towing strives to get the job done right the first time. Your Abrams account rep keeps tabs on the pulse of what you need to help your company run seamlessly. 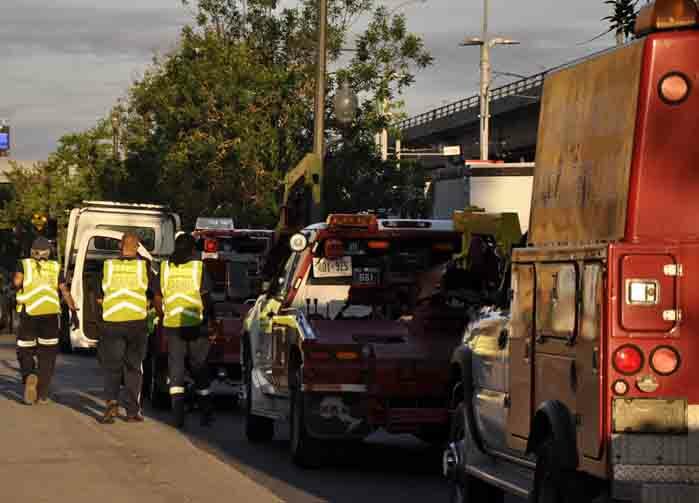 Abrams Towing makes fleet services simple with our seamless dispatch technologies combined with a large state-of-the-art tow truck fleet and the most advanced equipment. We’re on call to serve you 24/7, so that we’re always there when you need us. 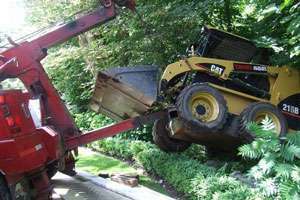 Whether you’re looking to recover a cement mixer from a construction site, or pull an excavator out of a sinkhole, every job is different. Naturally, it’s crucial to choose a company with well-trained talent, superior knowledge and the right equipment. Give our team a call and we’ll consult with you about your situation and recommend a solution to get the job done fast and right. 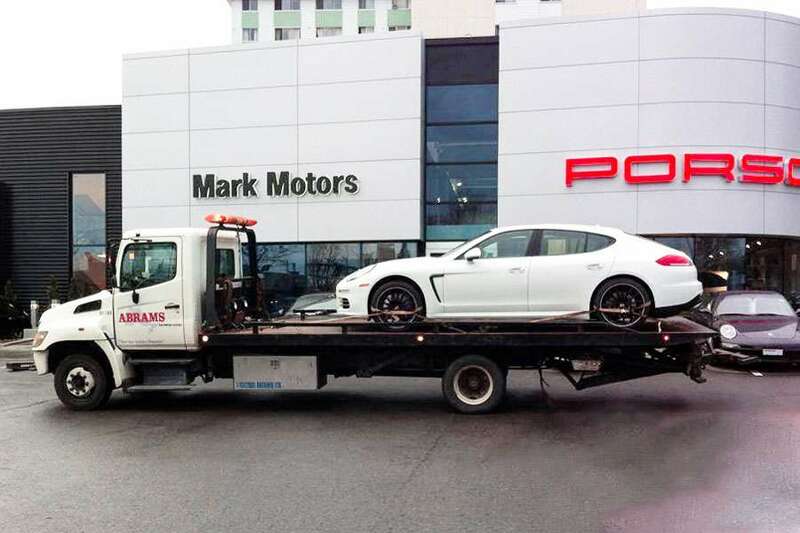 Companies like Porsche, BMW and Mercedes-Benz depend on Abrams Towing exclusively to service their customers when their vehicles break down. 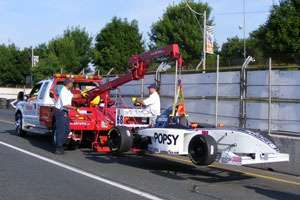 Our tow fleet is equipped with specialty tow ramps to handle even the lowest sports cars. “From the point of contact at dispatch, to courteous service provided by the drivers to the follow up and attention to detail from the accounting department, all services provided are in a timely manner and are a valuable vendor / business partner with the dealership.